Der Artikel Veronica Falls: Veronica Falls wurde in den Warenkorb gelegt. The very best type of pop music is the kind that mixes sweetness and light with dissonance and darkness, the sort which injects a perfectly addictive harmony with something sadder, stranger. 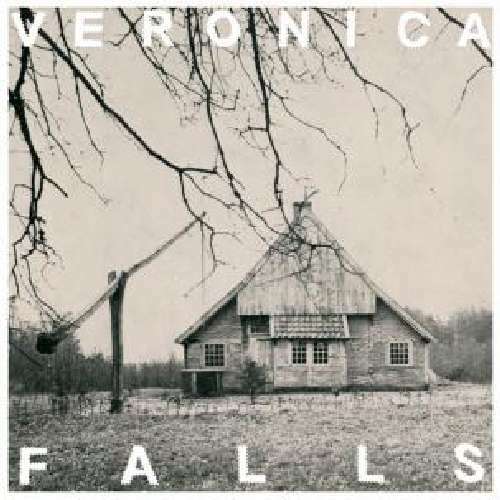 Welcome to the slanted and enchanted world of Veronica Falls, where serendipity, subversion, providence, and a shared love for Beat Happening, Velvet Underground, Galaxie 500, Felt and Roky Erickson's worldview all have a crucial part to play. Initially forming two years ago when drummer Patrick Doyle and Roxanne Clifford (guitars, vocals) moved to London from Glasgow and met James Hoare (also on guitars and vocals), later recruiting bassist Marion Herbain. The band quickly worked up a set of songs and released a string of singles on taste-making labels such as Captured Tracks, No Pain in Pop and Trouble Records. Debut single "Found Love In a Graveyard" is a great example of what Veronica Falls are about; it's a singalong slice of deliciously morbid pop, the breezy harmonies and chant-along choruses slyly belying the off-kilter undercurrent of falling in love with a ghost, and neatly setting the tone for what was to follow – instantly addictive pop songs streaked with shades of grey. With this superb album, Veronica Falls have crafted a brilliantly concise, superbly concentrated hit of spiky, marvelously contagious indie pop with a twist – these are songs which will lodge themselves in your head as well as your heart, with style and attitude to burn. Smashing new tunes like "Right Side Of My Brain," "The Fountain" and "Misery" fit right in next to "Found Love…" and "Beachy Head," making for a gorgeous, well-rounded album.